Tagline: Prices are double. Your love life's in trouble. The car won't start. Your boss has no heart. The door squeaks. The roof leaks. Your stereo just went mono. 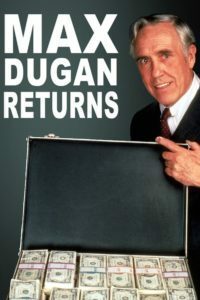 All you need is a little Max Dugan.